The plight of the world's fish supply due to overfishing is already clear. Now fish stocks face another pressure. 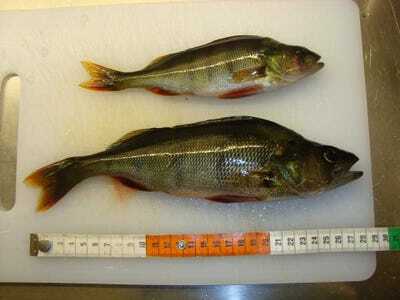 Fish will shrink up to a quarter of their size by 2050 as a result of climate change, according to a new study. The findings, published in the journal Nature Climate Change, were based on a computer projection "to see how fish would react to lower levels of oxygen in the water," Matt McGrath at BBC News writes. Rising oceans temperatures, which scientists attribute to man-made carbon emissions, creates two problems. Gases become less soluble at higher temperatures, meaning a warmer ocean contains less oxygen. Warm waters also "increase the metabolic rate of the fish's body function," lead author William Cheung, a researcher at the University of British Columbia, told BBC News. As a result, the fish need more oxygen to perform basic functions, "so the fish will run out of oxygen for growth at a smaller body size," says Cheung.